In addition to the prospect of dumb luck, the hick from Nebraska has also benefited from good old crony capitalism. 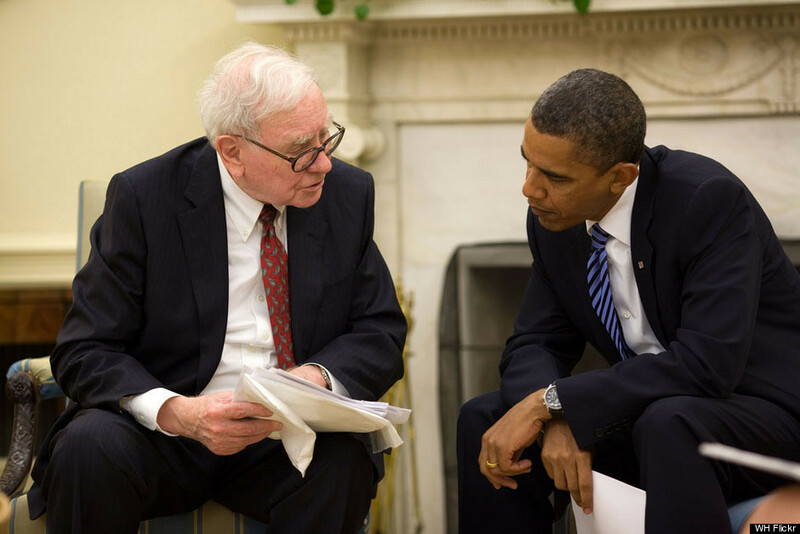 President Obama is such good friends with the Chairman of Berkshire Hathaway that he named a failed tax proposal after him, ie, the “Buffett Rule,” which would have applied a minimum tax rate of 30% on individuals making more than a million dollars a year. Last week, the president paid his friend back for having been his redistributionist pitchman by vetoing the Keystone Pipeline, which benefits the kooky Coke-drinker because, in the absence of Keystone, Canadian crude oil will continue to be transported from Canada to the Texas refineries via the Burlington Northern Santa Fe Railroad (BNSF), owned by Berkshire Hathaway. Of course, the beanie-with-propeller-on-top act might be a ruse. For example, Buffett owns $16 billion worth of Coca-Cola stock. But if he thinks that people are going to drink Coke just because he’s running around foisting his aw-shucks act on gullible journalists, then he might want to check the actuarial tables again and have some strained bananas like some toddler who thinks the world revolves around his crib. Either way, aside from his annual Berkshire letter (out this week), it would be nice if the press kept coverage of this creep to a minimum, unless they’d like to report on more of his hypocritical tax-avoidance schemes. This entry was posted in Business & Finance, Politics & Current Events and tagged Berkshire Hathaway, Buffett Rule, Keystone Pipeline, Warren Buffett. Bookmark the permalink.